When Master Replicas announced their line of Muppet replicas, it sounded like a can't miss. Palisades had the action figure market cornered, but Muppet enthusiasts hadn't had the opportunity to own life-sized, high end Muppet collectibles until then. Unfortunately the high cost of producing the posers made owning these Muppets cost prohibitive for most fans; and the series ended after only three releases: Kermit, Animal and Gonzo (shown here). Even though we may not see more Muppet posers anytime soon, that doesn't make the original three any less special. All three can fetech a pretty penny on the secondary market, but I found Gonzo listed on Amazon for a good price; discounted from $329.99. 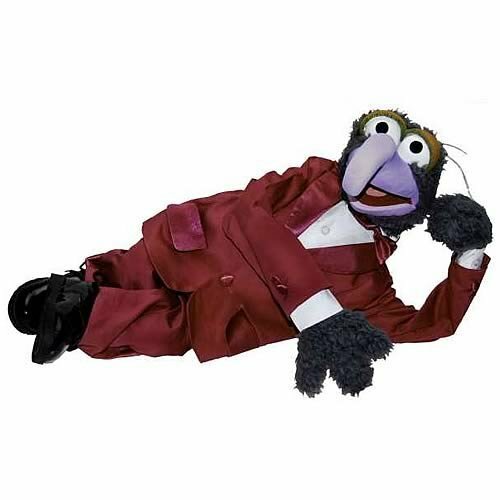 Plus Gonzo ships for free with Free Super Saver Shipping and 2-Day Amazon Prime shipping, which is nice, because he's one heavy Muppet and shipping would normally be a lot.